Do You Know How to Eat Bitter? 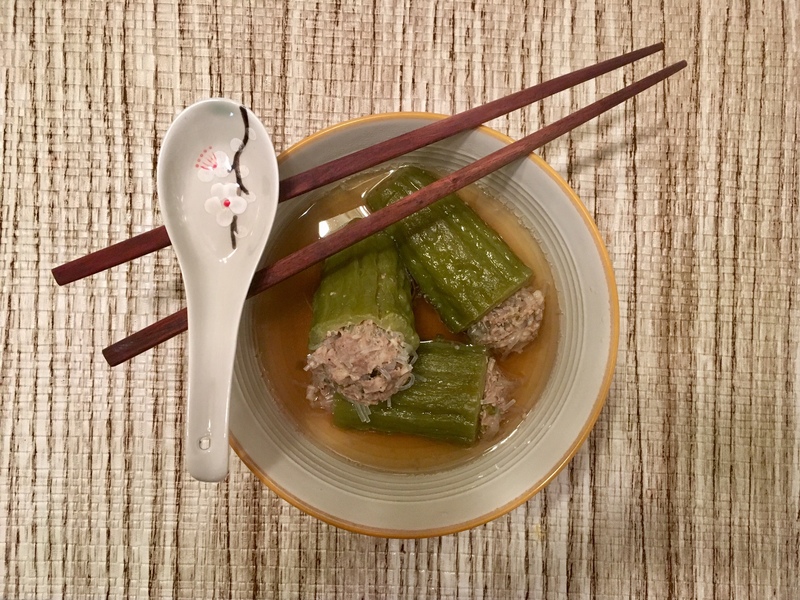 The first time I was served Chinese bitter melon by my wife’s family, I was asked if I knew how to eat bitter foods. Bitterness is not really a flavor familiar to the American palate, so I told them I was honestly not sure. I was familiar with sour foods, but not bitter. Being willing to try almost anthing once, I tasted it. I believe it was stir-fried bitter melon with egg. It was different. It was strong, but not offputting. “I can eat this,” I told them. They looked surprised, then giggled a little, and we all ate together. A Cambodian dinner usually consists of several different dishes. Maybe a stir-fry of some kind, a soup, and some other dish, often something left over from an earlier meal. As I ate the bitter melon stir-fry, I noticed that not everyone was eating it. My wife’s aunt told me that not everyone knew how to eat bitter foods. The Chinese have a belief that one’s ability to eat bitter foods represents his or her ability to persevere through hardships. I knew how to eat bitter and it made my wife’s aunt smile. Perhaps I was good enough for her niece.